CALGARY, AB – The monstrous Fazioli F308 is more than ten feet long, and is the largest piano in western Canada. It is the prized possession of Mount Royal University, who won’t let ‘just anyone’ take it for a test drive. 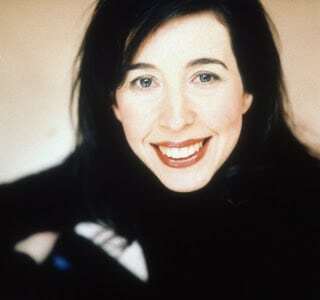 Well, Angela Hewitt isn’t ‘just anyone’. She is one of Canada’s most famous pianists, world renowned for her incredible interpretations on the piano. Hewitt will be taking the Fazioli ‘for a spin’ later this month during her two concerts with the CPO at the Jack Singer Hall. Hewitt will play Mozart’s beautiful Piano Concerto No. 21, the “Elvira Madigan”, and Symphony No. 40 with the CPO this month in an all Mozart program that will offering Calgarians a rare glimpse of the Fazioli piano that is being trucked in especially for her. In an interview last year with the Globe & Mail, Hewitt expressed her wish that more pianists would discover a Fazioli and see ‘how much more you can do with a piano’. Since the opening of the retail Fazioli store in Vancouver in 2007, two families in Alberta have discovered the Fazioli piano for themselves and chosen to make it the centrepiece of their home. The 6 and 7 foot ‘home’ sized models start at around $100,000 – which is half of the price of their concert grand pianos, but still double the price of the more popular US made Steinway & Sons. Founder Paolo Fazioli, himself a pianists and engineer, started the company in 1979 after his dissatisfaction with other pianos led him to believe that he could use his knowledge of both worlds to produce something vastly superior, something that would be quickly recognized as a real masterpiece of workmanship. Now, 30 years later, Fazioli is a key player on the concert stage, and can boast of converting illustrious pianists like Herbie Hancock and Louis Lortie.